You visited your parents over the Christmas Season and your Dad’s behavior has been troubling you ever since. 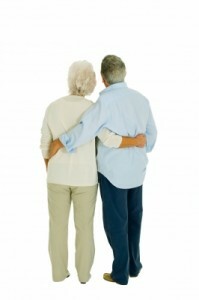 How do you know for sure if your elderly parent may have Alzheimer’s? Over 5.3 million people in the U.S. suffer from Alzheimer’s and it affects the lives of another 10.9 million people who are unpaid Alzheimer’s caregivers. Since Americans are living longer, this debilitating disease is also the 7th leading cause of death in the U.S.
Memory changes that disrupt daily life: One of the most common signs of Alzheimer’s is forgetting recently learned information. Victims may forget important dates or events, ask for the same information over and over again, and rely on memory aids, note pads, or family members for things they used to handle on their own with little effort. Misplacing things and losing the ability to retrace steps: A person with Alzheimer’s Disease may place things in unusual places and lose familiar things. Sometimes, they may even accuse their spouse and other loved ones of stealing or hiding items. New problems with words in speaking or writing: People with Alzheimer’s may have trouble following or contributing within a conversation. They may stop in the middle of a sentence and have no idea of how to continue or they may repeat themselves time and again. They may struggle with word usage; they might even have issues calling things by the correct name. Sadly, even in 2013, there is currently no cure for Alzheimer’s disease. But there are treatments for symptoms, combined with the right services and support that can make life better for those suffering from Alzheimer’s Disease. Here at Your Next Move, we will assist you and find the best assisted living facility in the Triangle or within North Carolina for your family member with Alzheimer’s. For more information on the warning signs to look for and other valuable information, visit the official Alzheimer’s Association website: http://www.alz.org/index.asp. Contact Us Today to Help You with Your Next Move. We are there at your side.